How many Americans put themselves at risk for blood-borne pathogens by injecting drugs? 24. Brady JE, Friedman SR, Cooper HL, Flom PL, Tempalski B, Gostnell K. Estimating the prevalence of injection drug users in the U.S. and in large U.S. metropolitan areas from 1992 to 2002. J Urban Health 2008;85:323–51. 25. Armstrong GL. Injection drug users in the United States, 1979–2002: an aging population. Arch Intern Med 2007;167:166–73. There is no question that as a group, IDUs have a high concentration of blood-borne pathogens because of their unsterile practices. We can gain perspective from American data estimates because they shows that HCV cannot be dismissed as mainly an IV drug users disease. 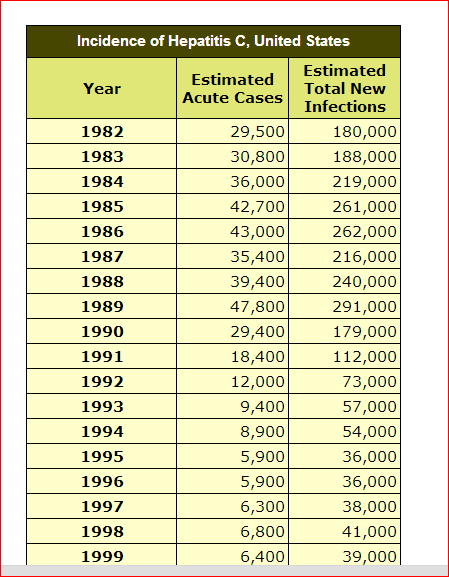 There are just too few IVDUs in the U. S. to account for most of the early cases of blood-borne infections. 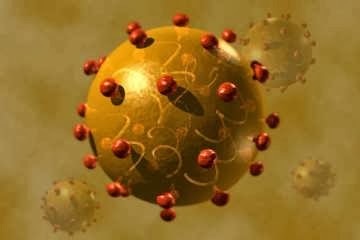 For example, look at a CDC chart of new acute cases of HCV. 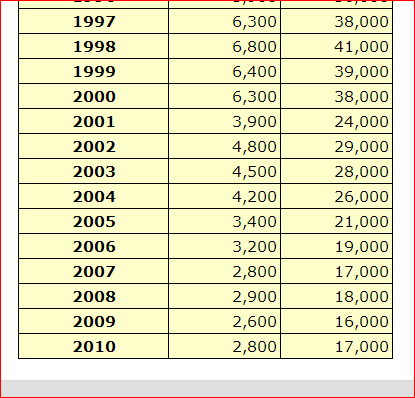 We see that the numbers dropped rapidly after 1990s when the DOD withdrew jet gun injectors, the blood-supply and blood products became safer, and other medical interventions became safer. 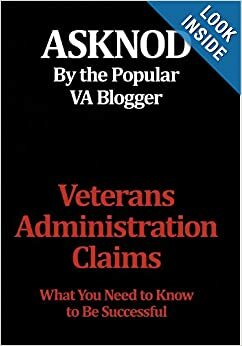 This entry was posted in Guest authors, HCV Health, HCV Risks (documented), Jetgun Claims evidence and tagged ASKNOD BOOK, asknod.org, asknod@wordpress.com, Gulf War Vets Help, HCV, HCV Decisions, HCV Health Tips, HCV Veterans, HCVETS, Help with vA Claims, Help with vA HCV Claims., Helping Veterans, Korean War Vets Help, Veterans claims help, Vietnam Veterans Claims Help.. Bookmark the permalink.